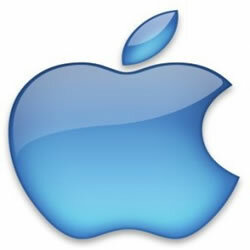 Since the launch of the first iPhone in 2007, Apple have provided the world with some of the most sought after gadgets. The public’s appetite has not let up and the launch of a new phone has become an annual event, with scores of people queuing up outside shops around the world. Both the iPhone and iPad have proved to be great devices for getting online and browsing the internet, so should come as no surprise that thousands of people each day use their smartphone or tablet to enjoy blackjack games online. In this look at the blackjack on Apple’s iOS, you can first discover where to find decent games for your iPad or iPhone. Then blackjack games are covered themselves before checking out the different bonuses casinos offer Apple users. If you are looking for the best blackjack games for Apple devices you are best off avoiding the Apple Store. While you can get some decent apps on there, these are nearly all play money games with no indication of whether or not they even give you a fair game. In certain jurisdictions you can find real money games on there, although even if you can access them you normally have to search through a lot of different titles to find the decent ones. Instead you are best off heading straight to one of the many online casinos. Here you can download the site’s app straight from your browser, or access their Instant Play casino if they use a HTML5 platform. Of course not all casinos are the same and it is normally worth shopping around for a decent deal. If you want to see what a casino is like you can check out reviews or simply search their name to give you an indication to how trustworthy they are. People do not like to be ripped off so any hint of wrong doing will quickly appear on the different casino forums. After this it is best to check out the terms and conditions of both the bonus offers and banking to make sure you are fairly treated. The vast majority of online casinos produce quality games for all devices. Typically the games you will play on your Apple device will be identical to those you can find on your computer. Some casinos even allow you to enjoy the games at the live dealer casinos. Generally all the casino apps and sites you visit will at least have the standard American Blackjack game on offer. Often there will be more than one title too, with options to play games which allow surrenders or even single and double deck games. As casinos expand out the games available on their app or Instant Play client, so the number of blackjack variants grow. You can enjoy several different games like Pontoon, or those including side bets and promises of large payouts like Perfect Pairs Blackjack. When you sign up to an online casino the first offer you will see is the welcome bonus. This normally matches your first deposits by 100% or even more. These can vary in quality so make sure you check the terms and conditions and especially the play-through requirement. After this is cleared Apple users can find some great promotions to encourage play on mobile devices. Some online casinos offer mobile players daily rebates on their losses. This can provide a welcome boost to your bankroll after a tough day and is great for games like blackjack, where the house only has a small edge anyway. Other sites such as Bovada give you a free $10 just to try out the casino. This money is typically for play only although you can keep any winnings once you have completed the necessary requirements.